The following is a brief description of the most commonly reported abduction experience types. It is intended to provide a standard of classification in abduction research. [AE-1] LUCID DREAM This is a lucid dream experience generated internally by the subjects subconscious. There is no Human/ET (Extra-Terrestrial) interaction at any level. They are usually grandiose in nature and lack a logical progression. [AE-2] TECHNO/TELEPATHIC LUCID DREAM These are lucid dream experiences internally generated by external forces. It is ET in origin and accomplished by technologically enhanced psychic intrusion of the subjects subconscious. The subject reports the disassociation or collapse of a normal dream and the insertion of a scenario or message which enhances certain ideals or beliefs. If the subject awakens immediately after they report a circle of glowing whitish colored energy on the ceiling, approx.. 2-3 ft. in diameter. A shaft of the same energy is slowly retracting back into the circle. This shaft is approx.. 3-6in. diameter and 2.5-4ft. long. [AE-3] PSY/BIO ENERGY FIELD EXTRACTION: This experience involves the extraction of a conscious energy field from the subjects body. It should not be confused with naturally occurring OBEE phenomena as separation is externally induced. The technology employs the use of a white or bluish-white colored extraction beam. Subjects describe a feeling of deep penetration of this beam throughout their body, followed by the sensation of an irresistible or attractive force. The extracted field maintains cohesion and is capable of perceiving stimuli at a greatly enhanced level. Perceptions include 360 degree sight and sensory feedback at the molecular and even atomic level. Experiences seem to focus around communications and reinsertion of the bio-field into a humanoid body other than the original. It is this type of abduction that accounts for the severe missing time memory failure in some cases. Since the subjects brain is not physically present the memories are not hard written. There does appear to be a shadow memory effect that can retain the memories of the events in some type of energy memory matrix within the subjects bio-field. Full understanding of this process could lead to breakthroughs in education and learning technologies. [AE-4] PHYSICAL ABDUCTION This is the physical removal of a subject from their environment to an ET environment. The subject is first tranquilized to reduce possible injury to either side. These abductions follow a very strict military like protocol. Subjects are transported via a small shuttle, lifting beam or direct transfer. Direct transfer utilizes a hyper-dimensional tunnel. It will appear as a large brilliant white energy gate. The subject steps through the gate and is instantly aboard the craft. Also reported is the nullification of the nuclear repulsive forces in solid objects. This allows the subject to physically pass through solid objects. Once onboard the person is subjected to various physical tests and procedures. The main thrust is in the genetic experimentation area. Reports of sperm and ovum extraction are quite common. After these procedures are performed the subject is returned to their original location unharmed. A screen memory is then inserted into the subjects subconscious. This slightly shifts the reality recalled by the abductee but never erases the event entirely. This distinguishes them from [AE-3]. [AE-5] PAST LIFE RECALL These experiences are the least reported and the most interesting in terms of their implications. They appear to represent events in the experience of an ET life form. Subjects relate being in an underground military facility, sometimes on Mars, the Moon and even under the Earth's oceans. Memories of being onboard a spacecraft and other ET environments are also recalled. What is so interesting is that the subject views this not from an Earth human perspective but from that of an ET. This suggests two very interesting possibilities. A.) During telepathic communication some memories are subconsciously transferred. B.) The subject is recalling actual past life memories of their own. This second possibility opens the door to much speculation. It suggests that part of the abduction phenomena may be a massive and covert reconnaissance operation. It may also explain why the Greys have said they have the right to do what they do. 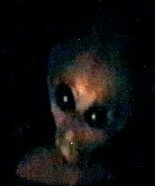 If abductees are souls that have been transferred from the ET environment to Earth, then technically they are not abducting human beings but volunteer ETs. [GROUP A] NON-EARTH BORN HOMO SAPIENS This group consists of three being types from three distinct colony zones, namely Sirius, Pleiades and Orion, the Zeta Reticuli Star System. Genetically, they are nearly identical to Terran humans with the following exceptions. Abductees refer to these beings as the -talls.+ Males average up to approximately seven feet in height; females, six and a half feet. They are extremely fine featured, pale in complexion. Eyes are almond shaped, slightly slanted with a natural black liner, much like Egyptians. There are three hair colors apparently related to colony origin: blonde (Pleiades), red (Orion), and black (Sirius). The insignia of these combined human races is a triangular arrangement of three spheres. This symbol has deep significance, and is found throughout Terran history. History records these beings as goddesses, gods, devas, etc. A subgroup of Group A females is in command of most Terran projects. [GROUP B] EARTH BORN HUMANS These are Homo Sapiens whose origin is the planet Earth. They can be divided into two separate classes. [Class A] (Ancient)-These humans were the companions and house servants of a Group A military mining and occupation force. When this force left the Earth sometime between 1,000 B.C. and 3,500 B.C., it was decided to remove all humans that had been in close proximity with them. It was felt that leaving them would only further disrupt normal human development. Class A humans are on an equal level with Group A and cooperate fully in all Earth projects. [Class M] (Modern)-These humans are working on the same cooperative level as Class A. They were taken from the Earth in modern times. During some abduction projects, twins (either identical or fraternal) are induced in a female subject. During the first trimester, one of the fetuses is removed. It is then grown to maturity by Group A. Abductees will meet their twins during some abductions. Very limited contact has been made by these humans. [Class W] (Workers)-This class is the smallest in physical stature. They are described as approximately three and a half feet in height, large head and eyes, pale white in complexion. these workers were created by Group A through genetic modification of Terran human fetuses. Their function is to perform menial tasks requiring limited reasoning abilities. In mental capacity, they are equivalent to a five year old child. They are incapable of violence and, in some cases, are kept as companions by Group A individuals. [Class T] (Technicians)-These humans are basically the same as Class W. They are slightly larger, at approximately four and a half feet in height. Their complexion is tan or yellowish. Their reasoning and deductive powers are higher. This allows them to perform more complex operations. They are often seen operating ship controls and in transport activities. Both Classes W and T are telepathically camouflaged to appear as Greys to abductees. This is done to conceal the true nature of Group C. It is felt that perception of Group A maintaining a human slave population would hinder future contact efforts. This point will undoubtedly be a source of much heated debate in the near future. Of the six groups discussed in this paper, the Greys appear to represent the only non-human contingent. The following data should be considered tentative at best. Height is approximately five and a half feet. The head is large; eyes large, black and very slanted. Skin color is dark grey and non-porous. All data so far indicates that they may be a cetacean-based life form. On Earth, this comprises the species of whales and dolphins. Descriptions of Greys+ skin color and texture closely match that of dolphins. The stare and stun effects approximate that performed by dolphins on potential enemies, such as sharks and barracuda. Human and dolphin fetuses are nearly identical, up to a certain development stage. Some say they share a common genetic ancestor. If so, then this makes the hybridization of human and dolphins theoretically feasible. There are two possibilities concerning the origin of the Greys. The first is that a cetacean life form evolved on another planet. Unlike Terran cetaceans, they did not return to the oceans. The second possibility involves the genetic modification of Terran cetaceans by Group A. When Group A created workers in ancient times, they may have used the two most evolved species available. These would have been pre-humans and dolphins. There is evidence for this in ancient writing, sculptures and paintings. They show a close relationship between the gods (Group A) and dolphins. In South America, there are ruins which appear to have been massive water enclosures. These were the breeding pens of the Greys. One of the main ET projects, now in the completion stage, is the hybrid program. The goal of this project is to produce a being combining the best physical and mental qualities of both races. The following description is of a hybrid female, approximately fifteen years old. Height is five feet, three inches; skin color is pale white/grey. The head is slightly larger and rounder than normal. Hair is dark, high above the forehead, and worn in a very long ponytail. The face is very fine-featured, and attractive. Like all the beings discussed in this paper, her main method of communication is telepathic. This has allowed a deeper understanding of her intellectual and emotional make-up. They consider themselves human, not Grey, in almost all respects. They care about the Greys, as any child would a parent, but find them agonizingly boring. The desire for human contact is greater than all others. Their capacity for emotion is as great, if not greater than, humans. Any physical attribute more human than Grey is a great source of pride. Their intellectual capacity is well above human standards. It is very likely they will exceed the capabilities of both races. The classification and identification of observed alien beings is one of the greatest challenges facing us today. We know that indeed there are intelligently guided extraterrestrial craft operating in our atmosphere. 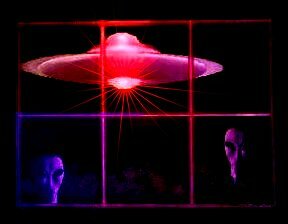 In a previously published article, (Classifications of observed UFO occupants) it was shown that there are only two main species of ufo occupants. These are A) Homo Sapiens, and B)Cetaceans. The first group is comprised of seven human subgroups, both of terrestrial, and non-terrestrial origins. The latter group of cetaceans, known as the "Grays" represent the only non-human element, and are the topic of this report. The information from which these conclusions have been drawn, was obtained from the following sources. Personal investigation of over two dozen abduction cases. In depth interviews with over fifty alleged abductees. General interviews with over seventy five abductees. A intensive study of ancient mythological and historical data. Study of modern day cetacean research data. The main objective was to compare the observances of modern day abductees against those recorded in ancient history. If the phenomena was genuine, and long-term, then correlation's between the two should be found, and indeed they were. The following is a brief summary of those beings who were identified. The main or lead group of alien beings are advanced humans of non-terrestrial origins. They are in all respects nearly identical to Earth born Homo Sapiens. They are from three distinct colony zones, Sirius, Orion, Pleiades. They came to the Earth sometime before 50,000 BC. for mining and colonization purposes. Note: an excellent source of information are the Earth Chronicles, by Zachariah Sitchin. These advanced humans modified an existing, Earth born, pre-human by merging their genes with it. The resultant hybrid is what we now call modern man, us. The remaining subgroups of humans observed onboard UFO's are all Earth born humans who were taken from the Earth both in ancient and modern times. All of these human beings can be found in our historical literature, described in various ways. In very ancient times they were called Gods. Some of the later names are, angels, divas, fairies, elves, demons, incubus and succubus, etc. It is interesting to note that as mankind developed these beings have continued to be involved in one way or the other in human affairs. In modern times we no longer refer to these beings in spiritual terms. We call them ET's or aliens and have become aware of both their physical nature, and high state of technological advancement. Whether our various social and religious organizations can survive the growing pains of finally leaving our state of intellectual pre puberty, has yet to be seen. Now let us examine the only non-human UFO contingent, the Grays. Based on our eyewitness testimony the following physical profile can be deduced. Height is 5 ft. 5 in., overall shape is humanoid. Skin coloration is dark gray and non porous. The head is proportionally large and triangular shaped in the vertical plane. The back skull area is large and rounded. The eyes are large and slanted upwards toward the back. Grays are often mistaken for two human subgroups, known as workers and technicians. These are smaller and as stated are of human decent. Based on all the evidence that has thus far been seen, the following hypothesis is made. The Grays are descended from cetaceans. What are cetaceans? On Earth they comprise the species we call whales and dolphins. We have already seen that human species can be found elsewhere. If the same genetic code for humans exists on other worlds, than it is not unreasonable to propose that other genetic codes previously thought to be only Earth indigenous exist out there as well. This raises a very interesting question. Why is the same basic genetic code found on all these different worlds? The answer can only be that an unknown intelligence deliberately seeded the various planets with the same basic genetic blueprints. The Earth then is merely one in a series of duplicate genetic environments. Who were these seeders and what was their purpose? Interesting questions indeed. Perhaps in a future report it can be discussed in greater detail. Now let us get back to our central issue, the Grays. What are the reasons for supposing that they are a dolphin based life form? The answer to this is found in the similarities of both their physical and behavioral aspects. First let us examine the physical characteristics. The skin of a Gray is very similar to that of dolphins both in texture and in some cases coloration. If you have an abductee look at a dark gray porpoise, the response is in the affirmative. On Earth the dolphins evolved legs and arms to function on land but later returned to the oceans. X-rays clearly show the residual appendages in modern day dolphins. It is possible that the Grays evolved just as Earth dolphins but did not return to the oceans and continued to develop as a land based mammal. Next is the skull shape. The grays have a large rounded rear area to in the upper front and back of their skulls. An examination of the dolphin skull shows the same large, rounded front and rear areas. The eyes of Grays are described as large and black with what appears to be a protective shielding covering the eye. Many earth aquatic animals have developed protective outer eye shields for underwater use. It is possible that this is a left over attribute from the grays ocean origins. Another factor is the dark coloration of this eye shield. It suggest an eye structure suited for a reduced light environment. In the oceans this is natural for a creature living underwater were the suns light does not penetrate. On Earth the dolphins developed the sonar ability as their primary navigational ability and do not rely on sight while underwater. Now we will look at the behavioral similarities. Earth dolphins use sonar to navigate and stun both prey and enemies. The stun affect is of particular interest to us. Dolphins can emit very powerful and focused ultra sonic burst from the front portion of there skulls. This is used to stun prey and to stun enemies such as sharks and barracuda. I viewed a film of a group of dolphins utilizing this ability on a very large barracuda. The barracuda was swimming towards a group of baby dolphins. Four large adult dolphins turned so that there heads were directly inline with the barracuda and emitted a sustained ultrasonic burst. The effect on the barracuda was astounding. It literally froze, completely paralyzed in the water, even the gills had ceased to move. The dolphins stared at it for about thirty seconds, during which time the barracuda remained totally immobilized. As soon as they turned their heads away, the ultrasonic beam was no longer focused on the barracuda and it fled at a very high speed. Obviously this beam was tightly focused and required the dolphins head to be pointed directly at the target. The strength of the beam could be changed also. When hunting it could be directed at small fish and amplified to lethal levels, causing instant death. Some believe that this is also used when dolphins kill sharks, by ramming them. Autopsy's show the sharks internal organs have been literally shattered. The beam can also be controlled to produce a stun effect as in the case of the barracuda. The result was physical paralysis and disorientation. I believe that this is the very same technique used by the Grays in abductions. The similarities are overwhelming. Every abductee says that when they are abducted they are paralyzed and become mentally disorientated. This is usually in the presence of a gray. The most striking thing they recall is what is called the "Stare". This is when the gray looks directly at an abductee. The large dark eyes capture the abductees attention immediately. They then report being unable to move and a feeling of great mental disorientation. 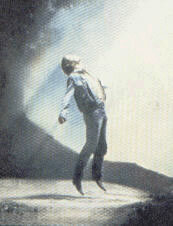 On some rare occasions abductees report a lessening of these effects when the gray looked away from them. This clearly indicates that the intensity of the effect was directly proportional to the direction or focus of the front portion of the gray's head. I believe that gray's possess the same sonar abilities as all dolphins and it is used to stun an abductee during the abduction. The 'Stare" as abductees call it, is merely the positioning of the grays frontal skull area, the projection area, to achieve maximum beam concentration on the abductee. When the gray looks away the beam would naturally become less focused and the effect would diminish, just as it does. The description of the grays head is large, triangular and rounded in front and back. This suggest a large and rounded rear and frontal brain lobe structure. This is identical to the physical structure of cetaceans. It is the main difference between cetacean and human brains. This large rounding is thought to be an adaptation of the cetacean brain to handle the enormous data flow of they're echo-location and sound based communications faculties. It should also be noted that on the rare occasions that abductees hear verbal sounds from grays it is described as high-pitched, sometimes chattering or staccato clicks or beeps. These are all similar to the air vocalizations of dolphins. The Grays are reportedly engaged in human/gray hybrid experiments. This is to combine the genetic material of both species into a hybrid species. Is this possible? The Japanese and several other countries are working even now on interspecies hybridizations. If I am correct that the Grays are of dolphin decent, then the possibility of successful hybridization becomes much greater. Some believe that on Earth, man shared a common genetic ancestor with the dolphin. Up to a certain point in development human and dolphin fetuses are nearly identical. In the not too distant future it will be possible to produce a hybrid human/dolphin species. It is my contention that the Grays have already beaten us to it. Finally I would like to point out that dolphins have been associated with the "Gods" AKA the aliens, from earliest recorded times. Certain mythologies hold that some of the Gods came from a world of water. It is now thought by most that these beings genetically altered the existing prehumans on Earth. It is certain that the Grays would have had a hand in this. One of the greatest of ancient worship sites is the temple of Delphi. This was originally the temple of the sea Goddess. The word Delphos means both dolphin and womb. I believe it is time we stopped calling them Grays and used the proper name our ancestors called them. They knew of the Gods who came from the water world in the heavens long ago. They called them Delphim. I hope that you have found this enlightening and thought provoking. For those out there who consider humans the only intelligent species on the planet, let me demonstrate the power of the cetacean brain. The bible contains a little over a million and a half bits of information. The song sung by humpbacked whales contains over fifteen million. Each year it changes just slightly and every whale on the planet knows what those changes are. Now ask yourself this. Could you remember the bible word for word? Could you remember fifteen of them? Think about it. If our bible contains our basic history, social and religious philosophies, what does something fifteen times larger contain. It is my deepest hope that this report will allow you to open new perceptions on the events now taking place on this planet. To see both the Grays and yourselves in a new way. I think in time we will come to find that what's down here, is exactly what's out there. That there are humans and dolphins cooperating out there I am certain. Perhaps we should stop and ponder our roles as the caretakers of this planet. Our own cetacean population have been hunted by man to the very edge of extinction. It is something that we all must take shame in. Recently efforts have been made by the civilized nations to preserve the great whales and dolphins. Can we live peacefully on this planet with another intelligent species? I truly hope so. I would hate for another more advanced species to treat us as well as we've treated the whales. Many hope for contact with these beings. If we cannot get along with an indigenous intelligent species, how can we expect to get along with one of extraterrestrial origins. A people are judged by their actions. If we demonstrate our goodwill toward our fellow inhabitants of this world, Perhaps those not of this world will be sent a message, that we are civilized after all. END. The following is an article that was published in the HUFON Journal, 1992. Debunking versus Counterintelligence: Reflections of a Pro-ufologlst by Richard D. Butler To the pro-ufologlst, debunking and counterintelligence (CI) efforts are seen as the greatest hindrances to legitimate research. The two terms are frequently used as synonyms. In fact, they are two very distinct operations. Debunking has two sources: the U.S. government and civilians. The civilian debunkers are usually professional academics, whose motivation is principally reactionary protection against a challenge to their world view. 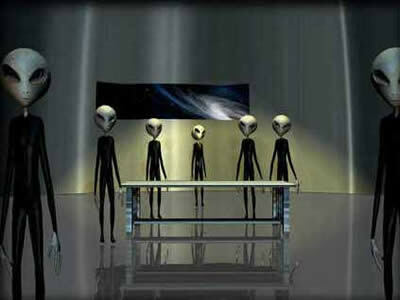 They see UFOs, and belief in UFOs and even organized study of UFOs as a threat to their own reality system. The protective strategy is, in psychological terms, the well known process called "denial." We see it in alcoholics, and we see it in UFO-bashers. It is also quite an efficient way to handle complex data and hypotheses. Simply deny it, make a joke, and move on and away from the challenge. Ridicule is an almost essential part of the denial process. The debunker strives to convince not only his audience that the subject is nonsense, but he must also convince himself. The self-imposed wall of denial is enforced by ridicule. There is nothing new about the debunking process. The history of science is, in a sense, the history of debunking. Clearly, every important advance in science has been met with ridicule. A recent example is the development of the atomic bomb. Top scientists were skeptical that the bomb would work. President Roosevelt's military aide stated that, as an expert in explosives, he could assure the President that the atomic bomb would never, and could never, explode! Yet in the early morning hours over the Trinity Site, a tiny flower of hell blossomed in the desert. The impossible had become awesomely real. Physicist J. Robert Oppenheimer was heard intoning, "Behold I become death, a shatterer of worlds." This was an apt epitaph for the debunkers, whose psychological world was shattered. Debunking has been with us since the first debunker laughed at the man who decided to move out of the cave. In a particularly difficult field of research like ufology, the debunker must be accepted as something that simply comes with the territory. We must groan, but accept the old saying, "If you can"t stand the heat, get out of the kitchen. "The second category of debunking is our official U.S. government version. This brings us into the deep waters of counterintelligence. CI is defined as specific and planned activities conducted to destroy the effectiveness of aforeign intelligence operation. There are various sub-operations within the heading of CI. The one of most importance to this discussion is counter-espionage, which is those activities carried out to neutralize another intelligence gathering group. Its operational parameters include penetration, deception, and manipulation of those suspected of conducting espionage activities. And it's all perfectly legal: presidential executive orders have made it so. Because these activities are necessarily covert, not much is known about them by the general public. CI operations are staffed by highly skilled and dedicated personnel. Their goal is to deny an enemy information which could be used to destroy our lives, property, and way of life. But how does the UFO business tie in? National Intelligence is the key term. This is defined as any intelligence information produced by the CIA (or other equivalent agency) that bears on the broad aspects of nationalpolicy and the national security of the United States. This intelligence is then analyzed to determine if a threat condition exists. If the answer is "yes," a Threat Analysis Report is prepared. The report identifies and locates the threat,and estimates the potential damage levels which the threat could inflict. The hreat Analysis Report is sent to the National Security Council (NSC) for review. The Council, in turn,advises the President with respect to formulation and integration of domestic, foreign, and military policies. Once the threat is confirmed by the NSC, various agencies will be tasked to perform both the intelligence and counterintelligence functions, as well as accelerated defensive weapons programs. It is time to look at the UFO intelligence gathering program. Most ufologists will probably be shocked by the nature and dimensions of this operation. Every ufologist and UFO organization in the world is an overt intelligence-gathering asset of the United States. Your job as a ufologist is to monitor all UFO activities, including sightings, landings and abductions. This information is published, providing an intelligence channel back into the system. The CIA has the mission of collecting all published civilian UFO intelligence data. An Air Force public information release (still in use) tells us that their investigation of UFOs ended with the deactivation of Project Blue Book. Further, it says that UFO investigations have been turned over to academic institutions and civilian UFO research organizations. In practice, this means that information of genuine scientific value will not be overlooked. In other words, Blue Book never really ended, it just changed hands. And, whether you know it or not, or like it or not, you are part of the intelligence - gathering network, feeding straight to the CIA's UFO files. But this particular brand of intelligence data is perfectly open to the public, in the form of UFO books, journals and public meetings. And this presents the government with a unique problem. As a UFO researcher, you are simultaneously gathering data for the government, and trying to break through the wall of secrecy to discover what the government knows. You are spying for them, and spying on them. By spying on your own government and, in fact, doing so in a very aggressive manner, you automatically trigger the counter-intelligence machinery. The task of screwing you up, meaning the official CI operation against ufologists, is assigned to Security and Counter - intelligence Special Operations departments within various intelligence agencies. Note the three main mission criteria: (1) Denial to ufologists of the government's offensive and defensive weapons capabilities; (2) Denial to ufologists of the government's intelligence gathering capabilities and level of analysis; and (3) Prevention of direct or indirect Psychological Warfare effect. Are these measures justifiable? In the balance are our rights as U.S. citizens versus the degradation of America's national security caused by release of the UFO information. With this in mind, let's review the three criteria in detail. Item (1) is fairly obvious. If a potential enemy learns our weapons technology, he can develop countermeasures. This in turn would render the weapons system useless, and make us vulnerable to attack. So the answer is a clear and resounding "No!" to release. Item (2) is the reverse side of item (1). We are gathering information in order to make the enemy's weapons ineffective. Here is a purely hypothetical example. Suppose we are successful through FOIA, or through what you must admit amounts to standard espionage techniques which we call "UFO research," and discover that the government has photos of a UFO hovering above a submarine. Moreover, the information we have obtained tells us that the submarine is at a depth of 50 fathoms. We also get pictures taken at 100 and 200 fathoms, and quickly publish all the facts. The Soviet submarine commanders would get the message at once the U.S. anti-submarine surveillance technology is only capable of imaging down to 200 fathoms. So they would design attack strategies in which they would cruise without worry at depths below that level. Bad news for our side, and it puts ufologists on the wrong end of the logic of item (2). Item (3) is by far the most complex issue. Psychological Warfare is accomplished by two main methods. First, direct aggressive efforts aimed at the enemy, and second, indirect damage caused by release of information regarding the enemy's capabilities and intentions. The purpose of "Psy War" is to erode the will of the enemy nation, and it can have a devastating impact on military effectiveness. A battle lost in the mind usually translates directly to military defeat. But the effects of Psy War go beyond military targets. Both government and private institutions can be severely damaged. An example is the stock market crash which took place just before the Gulf War. This is minor compared with the psychological shock waves that would be produced by release of certain UFO information. In fact, the harm would almost certainly be unprecedented in terms of damage levels, with major impact on basic religious and economic institutions. The major methods employed by UFO counterintelligence are debunking and disinformation. Debunking can be as simple as using the technique of over-simplification of analysis. For example, the time-honored quick answer to a UFO sighting, such as "weather balloon," or "swamp gas." Disinformation, however, should be our main area of concern. It uses a technique known in the trade as "plausible denial." One way to view this is that the information is 2% truth and 98% nonsense, of some mixture of the two, but never the whole truth. It must appear legitimate on the surface, but have enough bunk in it to send you off in a totally wrong direction. 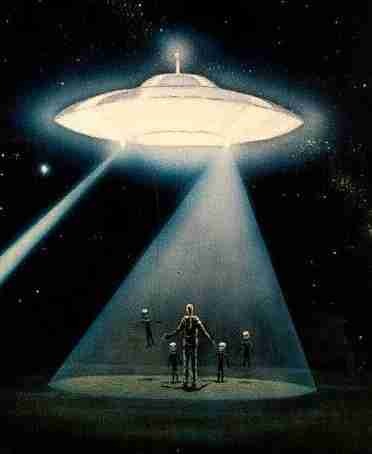 By far the most powerful weapon in the ufo counter-intelligence arsenal is the ufologists themselves. A former CI officer once remarked to me about a prominent New York City ufologist, "If he didn't exist, we'd have to invent him." There is nothing that counterintelligence operators appreciate more than a gullible ufologist i.e. born again lesbian lizards from Antares, seven-foot alien cockroaches with hyperactive libidos, etc. The result is that the credibility of the entire UFO research community is debased. Little wonder that the press treats the subject as a joke. That's what the CI people work so hard to accomplish. The "aliens are eating us" crowd is the answer to the CI prayers. This brings us to the question of whether the government is justified in witholding certain information from the public based in its psychological impact alone. The first NSC meeting was held in September, 1947. One of the main topics is rumored to have been the retrieval of a crashed alien aircraft at Roswell. We might know if this rumor is true, but the minutes of that meeting have been removed by the CIA from the National Archives. Interestingly, they were removed in February, 1979. This is when intelligence operatives discovered that a book telling the truth about the Roswell crash was about to be published. It then became necessary to clean up the "paper trail," among other CI moves to protect the Roswell secret. The NSC had to consider the Roswell UFO crash only eight years after the Orson Welles "War of the Worlds" broadcast, in which panic ensued when the public thought Martians were invading. Little wonder that President Truman kept mum. Was this a sound policy? I believe it was in 1947, and on through to today. At least in the sense that the public was not ready for the stunning revelation of aliens in our midst. But the public will never be ready! Nor is there any way to prepare the public. Therefore, further concealment is futile, as well as morallyun justifiable. In terms of national security, when a government is forced to treat its own populace as an enemy, then that government is already defeated and has lost its right to exist. Abductees are the only directly affected portion of the population. Granted, it is a very tiny fraction. But have we decided to write them off, to list them as an acceptable loss in this shadowy but nevertheless very real War of the Worlds? In closing, I wish to express my sympathy for those in government who are faced with these terrible decisions. I know you desire to do the right thing. To my colleagues in ufology, my advice is: be very careful what you ask for, because sometimes your wishes are granted. If your fervent wishes are granted, our whole civilization will suddenly have a new, revolutionary set of ideas about who and what we are. Can you take responsibility for the cataclysm? Although I have used the term "threat" in this discussion, it should be obvious that if the aliens are truly hostile, we would have learned that it was a very, very hard way long ago. That there are great changes in store for mankind is certain. How we as a people handle those changes will determine the level of loss to our social and spiritual realities. There is much to lose but equaly as much to gain. Or, as the alien may have said, "Lose a planet, gain a galaxy." Think about it.